For University of Florida researcher William Hauswirth, Ph.D., a decades-long effort to bring sight to patients who have a genetic form of vision loss has ended in success. A gene therapy developed in part by Hauswirth to treat an eye disease that causes severe vision loss won final approval from U.S. Food and Drug Administration regulators in December. The treatment, known as Luxturna and brought to market by a Philadephia-based pharmaceutical company, uses a gene delivery process that originated at UF with Hauswirth, an ophthalmology professor in the College of Medicine, part of UF Health. Luxturna will treat Leber congenital amaurosis type 2, or LCA 2, which is caused by a genetic defect. The treatment technique, which uses a harmless virus to deliver a functional copy of a crucial, sight-saving gene to the retina, was devised by Hauswirth. A subsequent collaboration as well as other research work at the University of Pennsylvania brought the treatment to the public. Hauswirth’s work on the gene therapy that would become Luxturna began in the late 1990s, when he learned about a group of dogs at Penn with the genetic mutation that causes LCA 2. He supplied the gene-delivery vehicle, known as an adeno-associated virus vector, or AAV, to the Penn researchers. One of the dogs, a Briard named Lancelot, was born blind but had his sight restored with the gene therapy in 2001. The vector was ultimately tweaked several times by the Penn researchers and further developed by Spark Therapeutics before winning regulators’ approval. An estimated 4,000 people in the United States and Europe have LCA 2, which affects specialized light- and color-detecting tissue in the back of the eye. The gene therapy works by injecting a virus containing a functional copy of the RPE65 gene into the retina’s remaining live cells. That gene, in turn, makes a protein that is essential for normal vision. During trials in humans, Hauswirth and a Penn collaborator found that the treatment improved patients’ vision by about 40,000-fold. “What was really interesting is that almost all of the patients showed quantifiable improvements in vision,” he said. “I’ve been able to see things I’ve never seen before, like stars, fireworks and even the moon,” Christian Guardino, 17, of Long Island, N.Y., told an FDA committee during an October hearing. While the treatment isn’t permanent — most patients regressed to their original vision state after about six years — Hauswirth considers it a success because the disease is progressive. If those patients had not received the gene therapy, their subnormal vision would have continued its unstoppable decline, he said. The therapy also provides improved light sensitivity — the ability to see in much dimmer light — and can likely be repeated or used in a patient’s other eye as the effects of the original treatment wear off, Hauswirth added. For Hauswirth, developing gene therapies that restore or maintain vision has been a long-term pursuit. He also has made the AAV vectors for five other gene therapies to treat different genetic forms of blindness. Those therapies have restored vision in animal models and are currently undergoing human clinical trials. For Hauswirth, spending almost 20 years designing and testing a successful gene therapy has been particularly gratifying. He vividly recalls one moment — the emotional high point of a 40-year career. 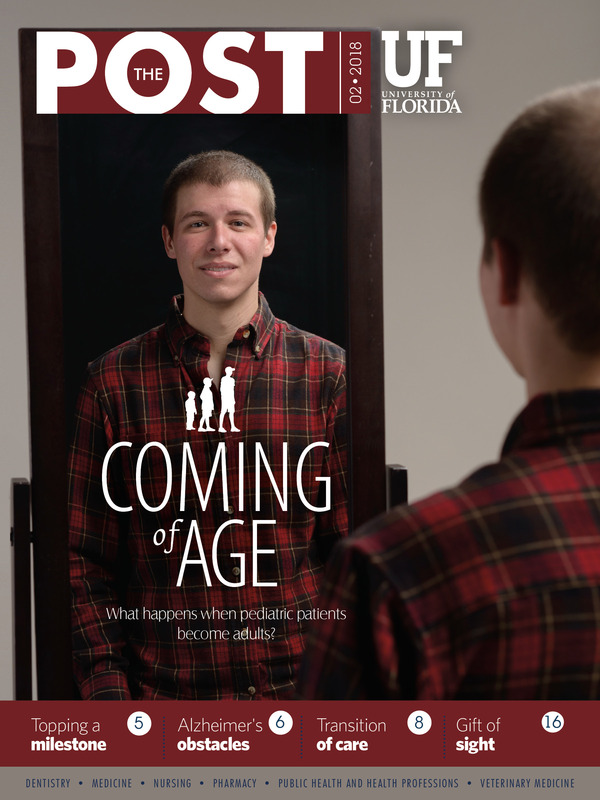 The first LCA 2 gene therapy patient had returned to UF for a follow-up examination. The patient’s vision had improved about 1,000-fold in just a month. That evening, Hauswirth and a surgeon who performed the procedure were walking to a parking lot. What happens when pediatric patients become adults?